Peripheral Self - Priming Pumps. 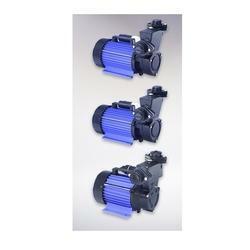 - For heating, cooling, air-conditioning and circulation plants. - For civil and industrial applications. Owing to the rich industrial experience and expertise in this domain, we are engaged in offering Self Priming Peripheral Pump. This Self Priming Peripheral Pump is highly appreciated amongst customers for its excellent strength and optimum performance. Our product range is widely used in different effluent treatment plants. 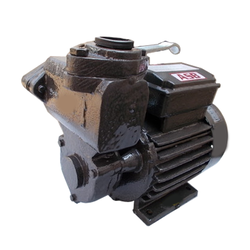 As a quality focused firm, we are engaged in offering a high-quality range of Self Priming Peripheral Pumps. Tormac Peripheral pumps are manufactured using state-of-art machinery in a production environment accredited with ISO 9001 certification. The impeccable and ergonomic design of pump and motor portions are coupled with quality materials of construction not only to ensure its trouble free operation and longevity but also enable optimum performance in hydraulic efficiency. The Peripheral Self Priming Pumps are used in domestic and overhead tanks, curing at construction sites, pressure boosting system at homes, fountains and small irrigations. > High quality extruded aluminium body. > Double sealed precision ball bearings with life lubrication. > Fitted with motor protector. - Residential Bungalows, Apartments, etc. Float rate up to 60 l/min, Dyndamic head up to 46 m, High heads, stable operation curves, Suction capacity up to 9 meters. Civil construction:Dewatering foundation, trenches and pits.